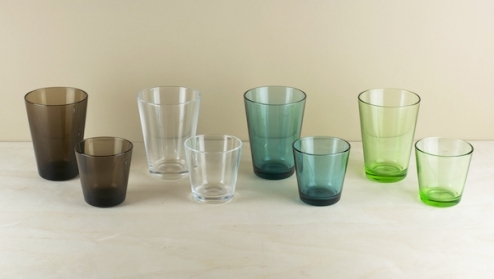 Designed by Kaj Franck in 1958 Kartio glassware embodies simplicity itself, and is still produced today in a range of complementary and more or less muted colours - originally presented as a mixed, harlequin set of six. The glasses are pressed but thick and pleasantly heavy in the hand, and this as much as their colour sets their quality apart. 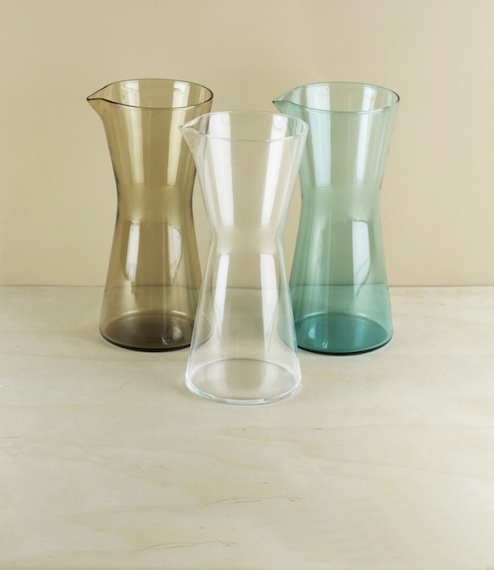 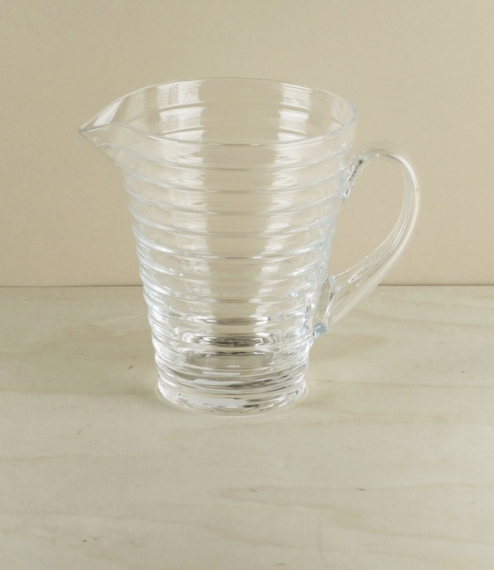 The matching carafe however is mouth blown, a process dictated by its form, and testament to the skill of the Iittala glass blowers. 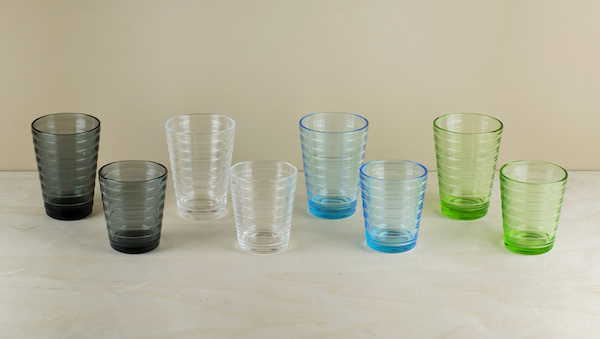 Supplied singly, the tumblers are available in 2 sizes 21cl or 40cl, and 4 colours (left to right) sand, clear, sea-blue, and apple-green.